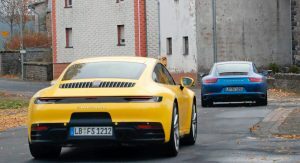 Every time Porsche launches a new 911 generation, people start telling jokes about how the sports car doesn’t need any input from the styling department. As the saying goes, all designers have to do is use the same template over and over again. 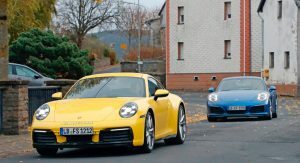 Obviously, that’s an exaggeration, but it had us thinking: how does the upcoming 992 generation look compared to its predecessor, the outgoing 991? Fortunately, we didn’t have to think very hard as a new set of spy shots quickly answered our question. 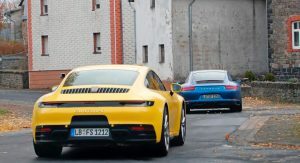 Our photographers spotted a prototype of the 2020 Porsche 911 driving along in the company of the current 991 generation. Which is which, you ask? Well, the yellow car is the new model and the blue one is the car that Porsche will stop making soon. We’re joking, we’re sure you knew how to set them apart, but the fact remains that one would have a hard time distinguishing them from a distance. As usual, the devil is in the details, and the new 992 model features many discreet changes. 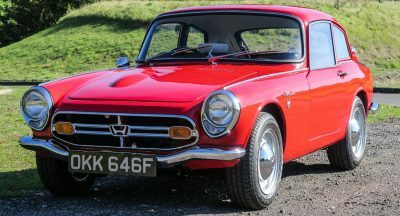 They’re less obvious from the front, where only the subtly revised bumper and sleeker side mirrors catch our attention. Obviously, the headlights feature a different structure inside, the DRLs are placed in a slightly different position, and… that’s about it. It’s much easier to spot the changes when looking at the cars from the rear, however. The bumper looks sportier and more aggressive on the new car thanks to the black trim, and the taillights remind us more of the Panamera than the 911. They’re also slimmer than the current model’s and gain a light strip that spans the width of the car. 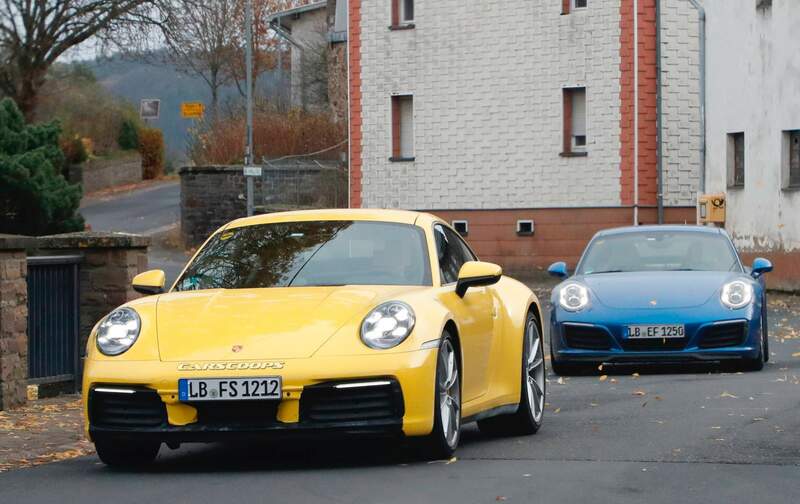 As you can see, the 992 still carries some duct tape disguise here and there, but the final design is pretty clear. So which one is your favorite? Yeah, I hate how the shutline isn’t level with the bumper on the 992. It looks like they didn’t have time to finish the car’s design and just went with it. It’s slightly like that on the 991 although not as visible. It’s not an issue for me, as I’m assuming it’s a packaging reason it’s like that. Also this cutline is more reminiscent of the 964 (It’s not exact but similar.) I’m more interested in the side body sculpture. Those rear fenders are really plumped up. I wouldn’t say fat but it feels heavier and makes the car wider/larger. I want to see it without that blackout tape so i can see how the graphics effect the weight. change for the sake of change and the commercial pressure to justify marketing it as a ‘new’ model. Of course it’s all worthwhile if there are major improvements to the drive train. 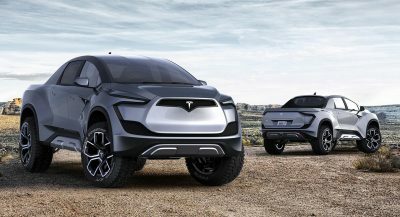 TBH, the whole car looks different to me, but of course it’s an evolution in terms of design, but I don’t have to look hard to see the difference. If you do have to look hard, you don’t pay much attention to the 911 to begin with. Same old design, now less attractive. I really don’t like this gen. Front bumper seam looks like an eye sore. Rear bumper with that ugly black piece in it. 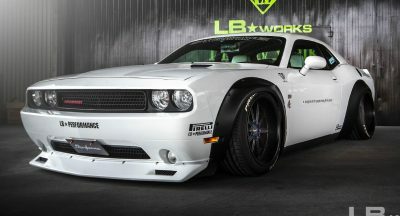 Wide body is too wide and looks fat. It’s just not an elegant design. Best looking gen is 997.2 imo. Look closer, much of that black is tape and plastic hiding some details, the tail light details are still disguised as well. lol that rear end. 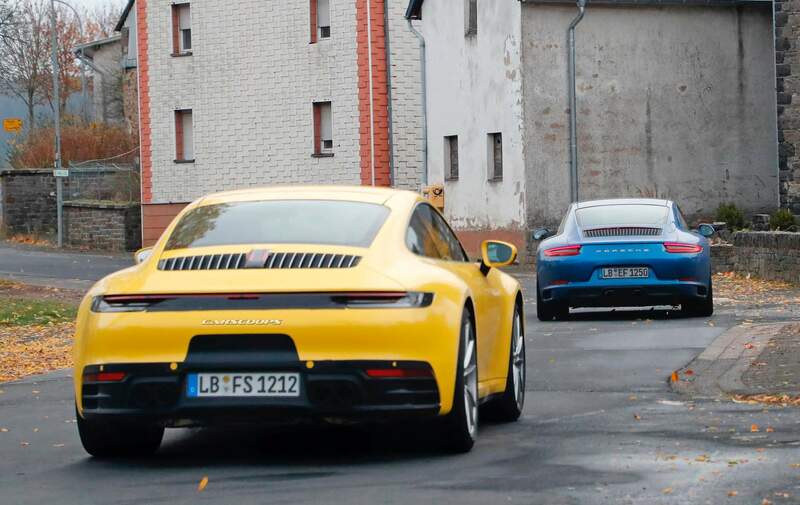 I am hoping by the time the 992.2 GT3 is out YEARS from now, Porsche would have sorted out the otherwise bizarre rear end. Everyone needs to be patient!!! 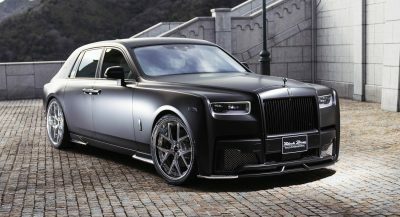 Shut-lines, sills, etc., although hard to tell, are still disguised…remember, the car hasn’t been officially revealed…these are NOT finished products aesthetically!!!! I like the throwback design of rear, but it’s too high. All that black area is not production, look real close. No complaints either way. The New one to me seems more modern and retro at the same time. I like the new standard voluptuous hips, the yellow not so much. Love the wider rear but the lights looks awful. The prior car’s rear lights and bumper are so much more elegant. The new one’s design is a bit vulgar. Previous PostPrevious 2019 Jaguar I-Pace Gets Standard Apple CarPlay and Android Auto In The U.S.